As we continue to move around the country with our popular R&D Tax Credit Clinics, we visit Dublin in April. These clinics are a great way for members to keep up to date with ongoing developments to the scheme, and to share experiences with other companies. 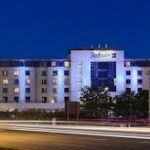 The Radisson Blu Dublin Airport is conveniently located at Dublin Airport, and within easy reach of all major roads & motorways. Please contact the hotel directly if you wish to book accommodation – 01-8446000. IRDG is now a member of the CPD Certification Service. As such we have received approval to allocate CPD points for this R&D Tax Credit Clinic.